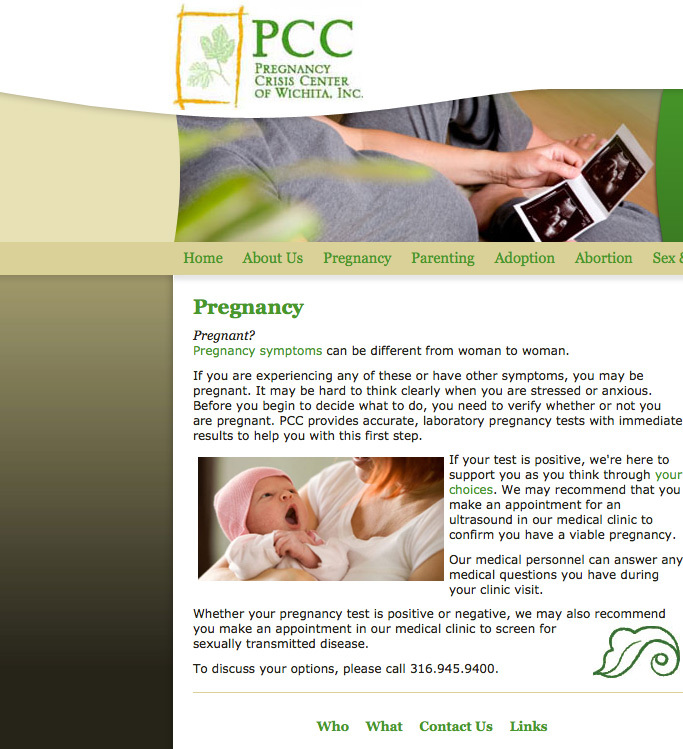 Pregnancy Crisis Center of Wichita had a great web presence before they called Barrett Morgan Design LLC. The challenge was that they needed their site to be a little more fluid to manage, and to show their mission through its design. 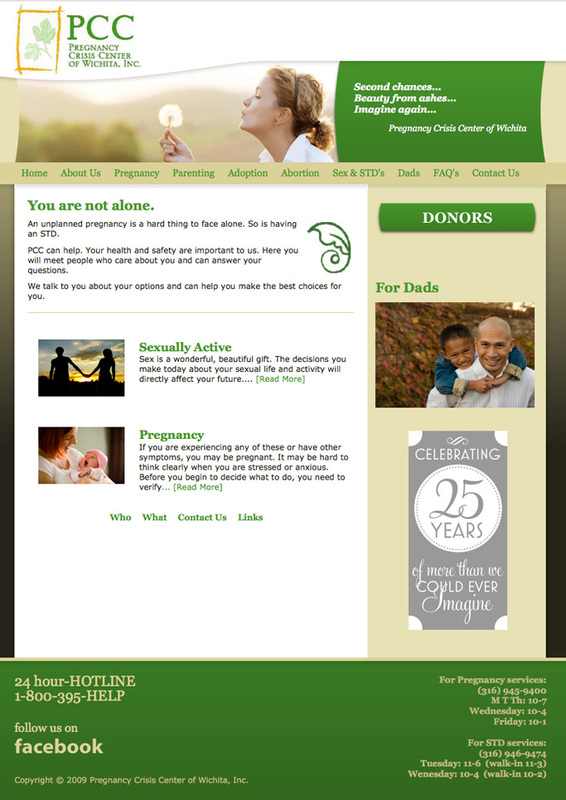 Now they can manage content and events through their new system, keeping their site as up-to-date as it can be. This website gets a lot of hits from around the globe from people looking for answers and for help. We are very grateful to be a part of this project.